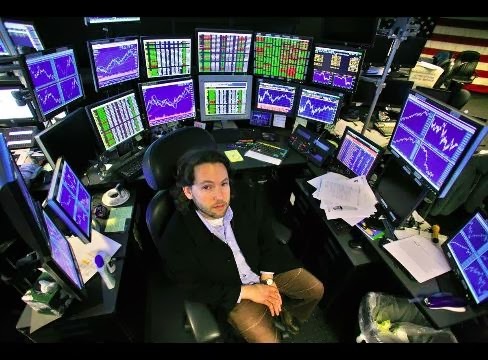 5 Steps to becoming a Professional trader that you MUST know! You may have initial success, and that's even worse - cos it tells your brain that this really is simple and you start to risk more money. This step can last for a week or two of trading but the market is usually swift and you move on to the next stage. What may surprise you is that of the remaining 20% all of them will last around 3 years - and they will think they are safe in the water - but even at 3 years only a further 5-10% will continue and go on to actually make money consistently. By the way - they are real figures, not just some I have picked out of my head - so when you get to 3 years in the game don't think its plain sailing from there. I had many people argue with me about these timescales - funny enough none of them have been trading for more that 3 years - if you think you know better then ask on a board for someone who's been trading 5 years and ask them how long it takes to become fully 100% proficient. Sure i guess there will be exceptions to the rule - but i haven't met any yet. One day - I'm a split second moment you will enter stage 3. Now we’re cooking - just like driving a car, every day you get in your seat and trade - you do everything now on an unconscious level. You are running on autopilot. You start to pick the really big trades and getting 200 pips in a day doesn't make you any more excited that getting 1 pips. You can now say with your head held high "I'm a currency trader" but to be honest you don't even bother telling anyone - it's a job like any other. I hope you've enjoyed reading this journey into a traders mind and that hopefully you've identified with some points in here. Remember that only 5% will actually make it - but the reason for that isn't ability, its staying power and the ability to change your perceptions and paradigms as new information comes available. The losers are those who wanted to 'get rich quick' but approached the market and within 6 months put on a pair of blinkers so they couldn't see the obvious - a kind of "this is the way i see it and that's that" scenario - refusing to assimilate new information that changes that perception.